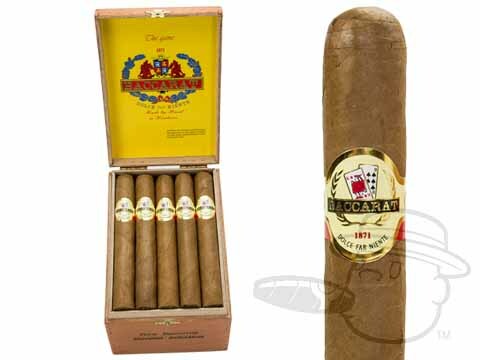 Baccarat Toro presents sweet, creamy, and woody flavor with a smooth, mellow body in a traditional 6x50 Toro vitola. got my cigars in and 3 days later i received them plus the 4 additional that they had in there off and the cost was very relative to other suppliers of cigars on line so i will keep on using Best Cigar Price. This is, by far, my favorite cigar available today. A very good mild cigar to enjoy when active at a good price. If I am fishing, or riding the mower and want to enjoy a cigar, this brand is great for the price. My favorite mild stogie. I normally smoke the Baccarat Chuchill Natuaral but I like to have these on hand for a short smoke - driving to/from work or whenever I lack 45 minutes for a Chuchill. Shorter means a tad harsher but all the Baccarats are mild and mellow. Lots of folks like the fragrance. Me too. This is a "go to" cigar, but it has its flaws, The draw is consistantly good, which is probably due to the loose compression of the filler. The burn is most often good and even, but lately the maker has been including some stemmy parts of the filler, this has given rise to "canoeing" much more often than in the past. Even with these problems I would smoke a Baccarat in preference to any other. Great smoke, a hint of nut flavor with a touch of sweetness.A tasty, easy draw that has a been my favorite stokey for many years. The Baccarat are great gigars for smoking while enjoying an outdoor activty. I enjoy several during fishing. The mild flavor is easy on you and the price is a great bargain. This my everyday cigar for the golf course. It is mild and at this price point it is easy to share. Love this site and the products they offer. I have been smoking Baccarat for four or five years. I have told many of my friends about them and they love them too. 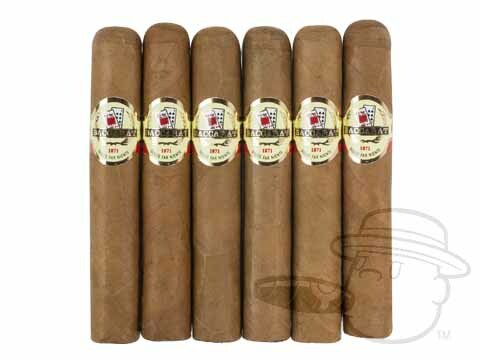 They are mild, have a bit of sweetness initially and then smooth out to a very genial smoke. For the price I haven’t found anything I like better. Great cigar, smooth and sweet tip. I travel to Honduras a lot and was a fan of Cubans until I tried these. Smooth for beginners and good enough for old timers. Very nice smoke. Fast shipping and good price! My new box of cigars arrived just as I was smoking my last while taking down my Christmas outside lights. My next Baccarat will be enjoyed while snow blowing the winter storm coming tomorrow. All 5 stars in my opinion. A very balanced and comfortable smoke. Baccarat Toro is rated 4.3 out of 5 based on 26 customer ratings.